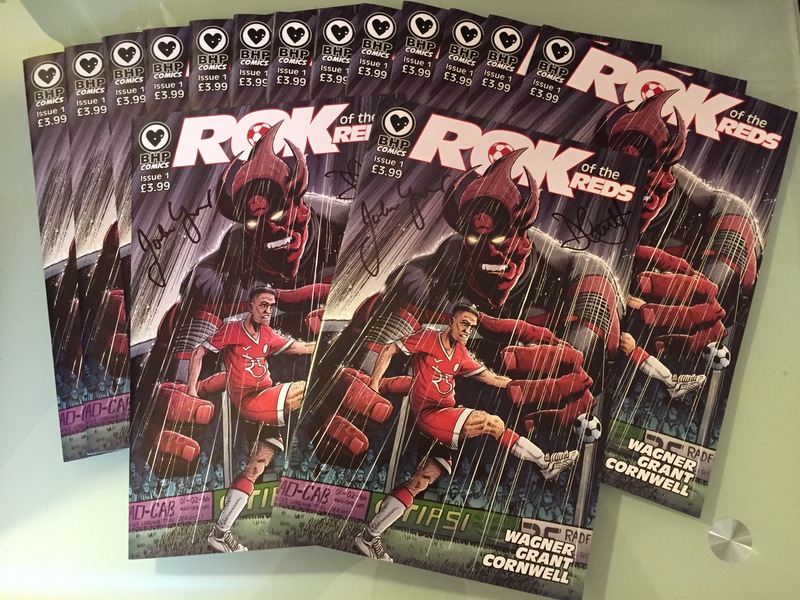 ROK OF THE REDS ISSUE 1 RELEASED! Had a fab time at the LFCC in the Olympia London, for the release of ROK OF THE REDS. 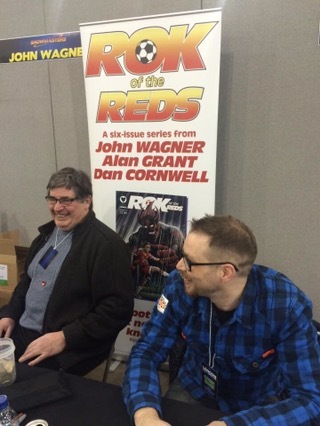 John Wagner and myself were there to sign copies and introduce people to the world of ROK. 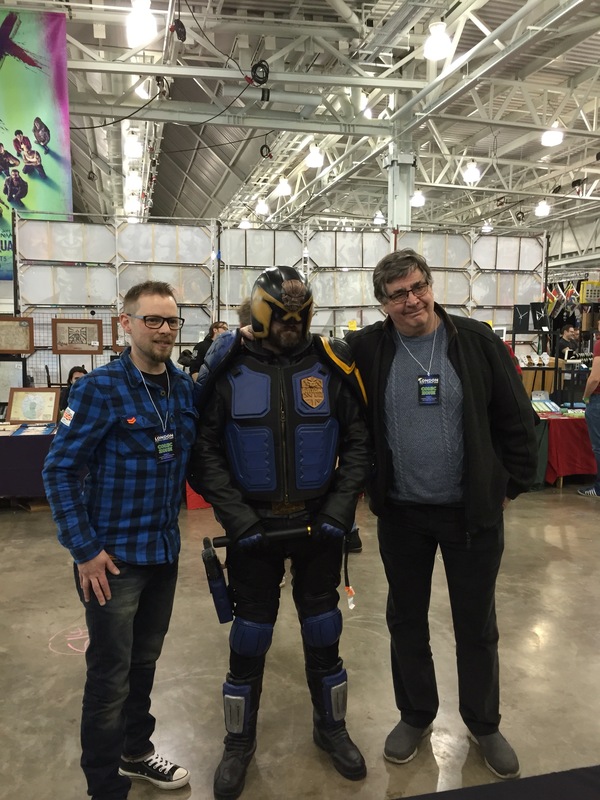 It was my first con as a guest and an absolute joy. I would like to thank all those who turned up and bought the first issue and had a chat. If you want to order the amazing first issue you can do here. Already we are receiving positive feedback and there is talk of a possible second series should ROK survive! Shhhh keep that to yourselves.